Views of drilling-rig crews, like this one south of Durango near U.S. Highway 550, are becoming rarer in La Plata County. Since 2007, permits for new natural-gas and wells have fallen from 328 to 99 in 2011. The effects of low natural-gas prices are rippling through La Plata County, a place where the energy industry has consistently served as a major pillar of the areas economy. Gas prices fell from $5.72 per million cubic foot at the beginning of 2010 to $1.90 per mcf this month, said Christi Zeller, executive director of the La Plata County Energy Council, during a presentation last week about fracking. Nationally, current prices are at a 10-year low. The natural-gas glut responsible for driving prices downward is forcing companies to make tough decisions about production. The Associated Press has reported that Chesapeake Energy, ConocoPhillips and Encana Corp., have announced plans to slow down drilling operations. 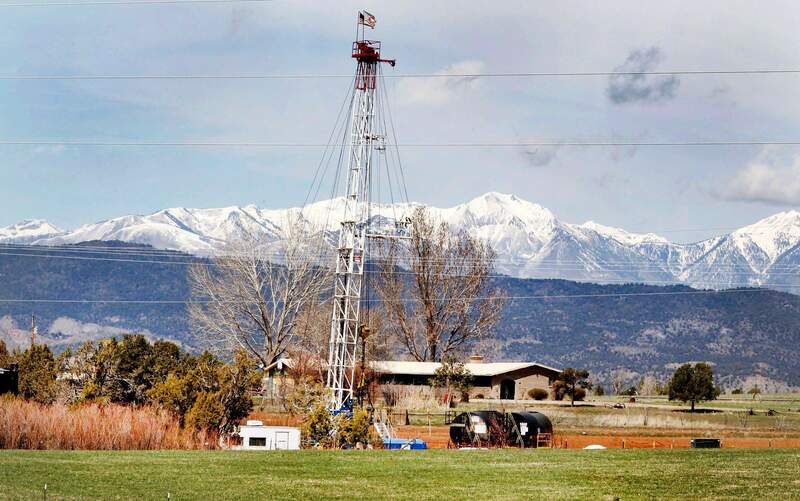 In La Plata County, energy companies are slowing production or moving their operations to oil-shale plays in other parts of the country, causing declines in local permit requests and natural-gas production volumes. Ive been hearing from people talking about packing up and going to North Dakota or Texas, Zeller said in a February interview. Since 2005, production of conventional and coal-bed methane countywide has fallen about 10 percent. The number of permits has declined from 328 in 2007 to 99 in 2011. New projects focusing on shale gas have been tabled because production costs are much higher than the current rate of return. WPX, the newly independent exploration and production branch of Williams, in February announced it would temporarily halt plans to drill in the Mancos Shale near Navajo Reservoir. New technology has made shale gas an asset in our community, Zeller said. But the likelihood of companies drilling into the shale is zilch because of the price of gas, she said. And as prices and production fall, so does the natural-gas industrys share of property taxes. In the mid-2000s, the natural-gas and oil industry carried between 60 and 65 percent of the countys property burden. In the fiscal year 2012, the number was about 49 percent. And next year isnt looking good. Next January, well feel the pain of last years low gas prices, said La Plata County Assessor Craig Larson in a January Durango Herald article. The price of natural gas and production levels directly correlate with the amount of property tax revenue La Plata County receives, which affects budgeting decisions, said Joanne Spina, interim county manager. Eyeing falling gas prices, Ignacio School District pushed hard last November for voters to approve a $50 million bond measure for the construction and remodeling of its schools. One of the districts selling points was timing. The longer Ignacios voters waited to approve such a bond, the more the voters would have to shoulder the costs of the bond, rather than the oil and gas industry, said school board President Ed McCaw during community informational meetings about the project. From an economic-development perspective, a lull in gas prices highlights the importance of diversification in the broader economy and within the natural-gas and oil industry. Its important to recruit and retain companies that keep jobs here but can move and adapt their operations to whatever part of the energy industry is booming, or wherever it is booming, said Roger Zalneraitis, executive director of the La Plata Economic Development Alliance. 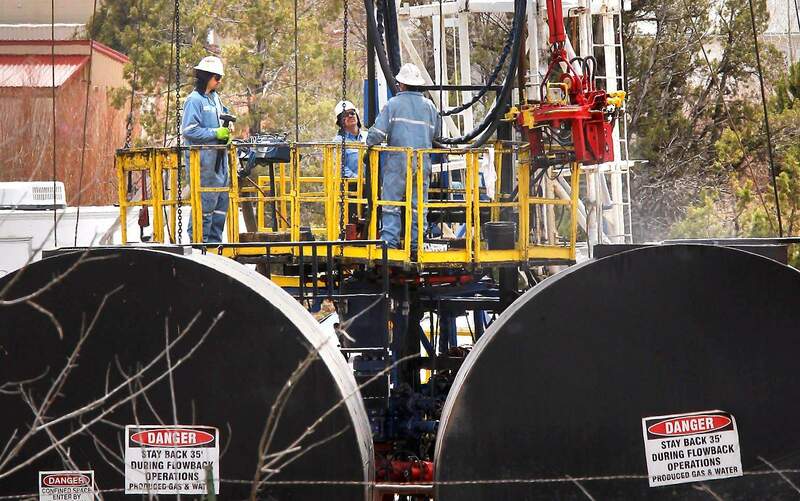 Companies that service natural-gas and oil operations, or those that are headquartered in La Plata County but have operations elsewhere, are valuable to the regions economy because they arent completely dependent on drilling in this area, Zalneraitis said.